Xu, Yih-Tai; Taken on strength as a Gunner in 15th Field Artillery Regiment RCA on 19 Jan 1995, released on 13 Feb 1996. ​Yano, Victor Tsuyoshi; Enlisted Canadian Army as Soldier-Apprentice Shilo MB 23 Jun 1959, posted 2 Surface to Surface Missile Training battery Picton ON Sep 1961, posted 1 Surface to Surface Missile Battery Germany Jan 1963, posted 1 Locating Battery Winnipeg MB Sep 1966, promoted Bombardier 1 Oct 1966, posted 1st Regiment Royal Canadian Horse Artillery Jul 1968, posted Canadian Forces Recruiting Centre Victoria BC Sep 1974, promoted Sergeant 1 Sep 1974, Assistant Instructor Gunnery Course Gagetown NB Aug 1977, promoted Warrant Officer Sep 1977, posted School of Artillery Jun 1978, posted Canadian Forces Officer Candidate School Chilliwack BC Aug 1982, promoted Master Warrant Officer 27 Jun 1983, posted Regular Force Support Staff Pacific Vancouver BC Jul 1983, posted RSS Pacific HQ Pacific Militia Area Standards Jun 1986, served with PMA Headquarters Distribution Account Verification Team Jun 1987, component transfer to BC District Headquarters 15 Jul 1988, promoted Chief Warrant Officer on 20 Jul 1990, transferred to 15th Field Artillery Regiment RCA on 21 Oct 1991, appointed Regimental Sergeant Major on 14 Dec 1991, released 3 Oct 1996. ​Yee, George; Taken on strength as a Gunner in 15th Field Artillery Regiment RCA on 26 Jun 1975, released on 15 Jun 1976. Yee, Jarry; Taken on strength as a Gunner in 15th Field Artillery Regiment RCA on 26 Jun 1975, released on 31 Aug 1975. Yee, Raymond; Taken on strength as a Gunner in 15th Field Artillery Regiment RCA on 2 Apr 1987, qualified General Military Training on 13 Jun 1987,qualified TQ1 Artillery on 11 feb 1988, promoted Bombardier on 13 Jun 1991, released on 1 Jan 1992. Yee, Rosanna Lai Fan; Taken on strength 15th Field Artillery Regiment RCA on 7 Jul 1980, released on 9 Jul 1980. Yee, Weeton; Taken on strength as a Gunner in 15th Field Artillery Regiment RCA on 12 Jun 1975, released on 15 Aug 1975. ​​Yelland, Allen Michael; Taken on strength as a Gunner with 15th Field Artillery Regiment RCA 8 Jan 1962 under the Special Militia Training Plan (SMTP), appointed Lance Bombardier 15 Jan 1963, promoted Bombardier 1 Jun 1963, appointed Lance Sergeant 1 Dec 1964, qualified Senior NCO Part 1 Course 25 Apr 1965, qualified Senior NCO Part 2 Course 2 Jul 1965, qualified Militia Gun Number Field Group 1 30 Oct 1965, promoted Sergeant 1 Nov 1965, ​promoted Warrant Officer 1 Dec 1967, qualified Artillery Technician (M) 26 Nov 1968, transferred to Supplementary List 22 Jan 1976, attached from Supplementary List 15 Mar 1979, cease attachment 19 Mar 1979, attached from Supplementary List 10 Sep 1979, cease attachment 13 Mar 1981. Yeo, Robert Emsley Lewis; Taken on strength 15th Field Regiment RCA on enrolment with former service in Royal Canadian Navy on 2 May 1955, struck off strength on release on 1 Nov 1955. Yip, Vincent; Taken on strength as a Gunner in 15th Field Artillery Regiment RCA on 30 Jun 1975, released on 31 Aug 1975. York, Allen Brent; Taken on strength as a Gunner in 15th Field Artillery Regiment RCA on 3 Jul 1978, released on 15 Aug 1978. York, Robert Maxwell; Taken on strength 15 Field Regiment RCA on 11 Mar 1954, struck off strength on 19 Apr 1954. Yorke, SK; Sergeant in Regimental Headquarters in 1969. Yoshimaru, Layne Eiji; Taken on strength as a Gunner in 15th Field Artillery Regiment RCA on 9 Jul 1979, qualified General Military Training on 2 Sep 1979, qualified TQ1 Artillery on 25 Apr 1980, promoted Bombardier on 9 Jul 1980, qualified Driver Non-Trade on 18 Dec 1980, qualified Junior NCo on 31 Dec 1980, promoted Master Bombardier on 10 Sep 1982, qualified Senior NCO Course on 15 Jul 1983, promoted Sergeant on 10 Sep 1984, qualified TQ4 Artillery Technician on 16 Aug 1985, promoted Warrant Officer on 1 Mar 1990, released on 1 Feb 1993. Young, AL; Bombardier in 2014. ​​Young, Charles Irvine; Taken on strength as a Gunner in 15th Field Artillery Regiment RCA on 26 Apr 1973, remusterd to Musician on 1 Jan 1974, qualified General Military Training on 31 Jan 1974, qualified Artillery Technician on 9 Aug 1974, qualified Junior NCO Course on 5 Jan 1975, appointed Officer Cadet on 1 Apr 1975, qualified ROUTP Phase 1 Artillery on 25 Aug 1975, promoted Second Lieutenant on 1 Sep 1976, qualified Lieutenant Block 1 on 29 Jul 1977, qualified Lieutenant Block 2 on 12 Aug 1977, promoted Lieutenant on 1 Sep 1977, qualified Artillery Captain qualifying Block 9 on 1 Aug 1980, qualified Young Officers Tactics Course Block 10 on 10 Sep 1980, promoted Captain on 9 Sep 1980, qualified MITCP Junior Staff Course Block 8 on 28 Jun 1980, qualified MITCP Administration Block 7 on 28 Jun 1980, qualified Block 11 on 6 Mar 1983, qualified Artillery Major Block 12 on 16 Jul 1983, transferred to BC Militia District Headquarters on 31 Aug 1984, Major in 1986, released. Young, Meredith Audrey; Taken on strength in 15th Field Artillery Regiment RCA on 7 Jul 1980, released on 20 Aug 1980. ​​Young, Oliver James; Taken on strength as a Gunner in 15th Field Artillery Regiment RCA on 24 Apr 1986, qualified General Military Training on 9 Aug 1986, qualified Artillery Communicator on 16 Nov 1986, qualified Driver Non-Trade on 6 Dec 1986, qualified TQ1 Artillery on 25 Jan 1987, promoted Bombardier on 10 Dec 1987, qualified Driver Wheeled on 19 Mar 1988, Operational tour with UNFICYP-1992/1993, promoted Master Bombardier on 8 Sep 1994, Sergeant in 2008, retired in 2015. Young, Paul Dwight; ​Taken on strength as a Gunner in 15th Field Artillery Regiment RCA on 16 Aug 1982, released on 15 Nov 1982. Young, Richard Allen; Taken on strength 15 Field Regiment RCA on 6 May 1954, struck off strength on release on 1 Jan 1957. Yu, Daniel Hung; Taken on strength as a Gunner in 15th Field Artillery Regiment RCA on 27 Jun 1985, qualified General Military Training on 9 Aug 1985, released on 11 Mar 1986. Yule, David William; Taken on strength as a Gunner in 15th Field Artillery Regiment RCA on 6 Jul 1983, qualified General Military Training on 19 Aug 1983, qualified TQ1 Artillery on 20 Sep 1983, released 1 Nov 1984. Yuschyshyn, Cynthia L; Taken on strength as a Musician in 15th Field Artillery Regiment RCA with former Service on 4 Dec 1986, qualified General Military Training on, qualified TQ1 & TQ2 Musician, transferred. Zhang, Leslie; Taken on strength in 15th Field Artillery Regiment RCA, Private in 2017. 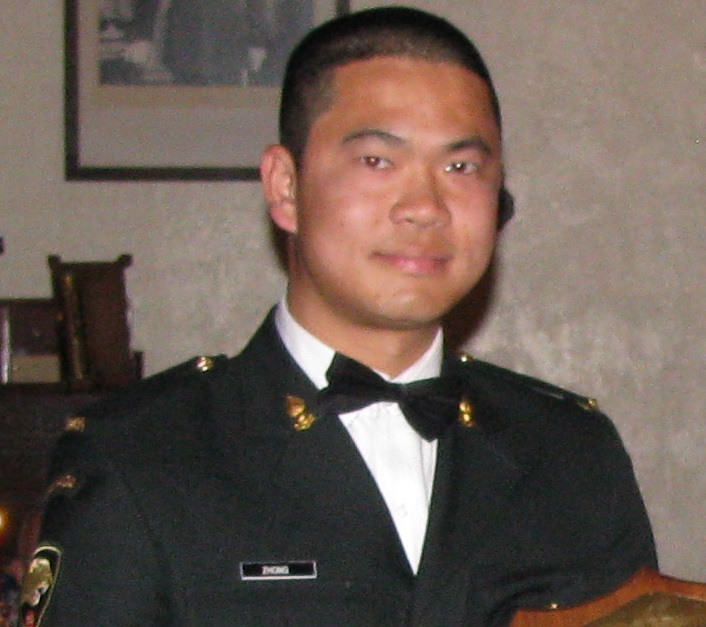 ​Zhong, Terry Jing Hui; Taken on strength as a Gunner in 15th Field Artillery Regiment RCA on 18 Jan 2001, qualified QL2 Recruit on 17 May 2001, qualified Driver Wheeled on 26 Jan 2002, qualified Artillery Communicator on 16 Mar 2003, Bombardier from 2003-2004, awarded Most Efficient Bombardier of the Year 2008, Master Bombardier from 2009-2012, Sergeant in 2016, attached to 39 Signals Regiment in 2016 . 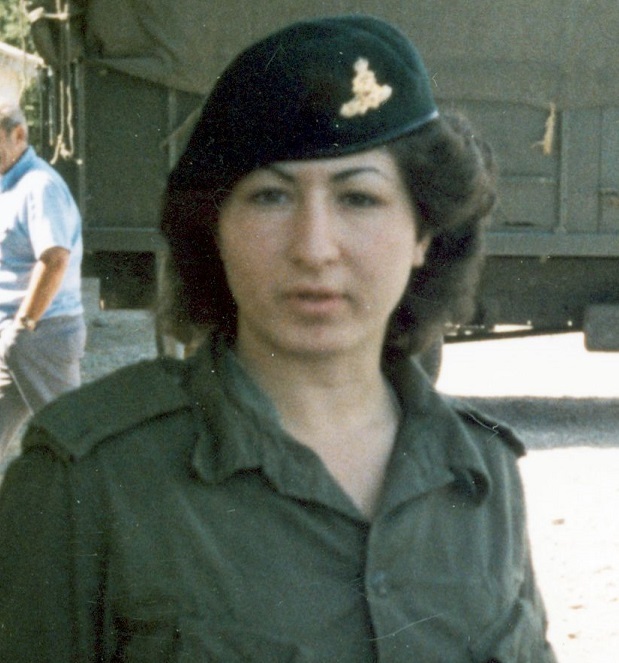 ​​Zilli, Linda; Private in the 1980s. ​Zorn, John; Taken on strength 15th Field Regiment RCA on 19 Nov 1957, transferred to 15th Field Regiment RCA Military Band on 31 Oct 1958. Zorn, Wayne; Taken on strength 15th Field Regiment RCA on 18 Sep 1958.